The statutes of the European Schools define the Parents’ Association as the official body for cooperation between parents and school. 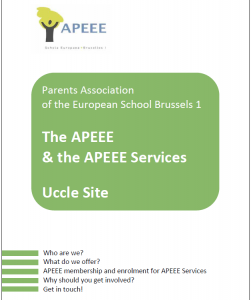 In our case, it is a non-profit organisation named « Association of Parents of students at the European School Brussels I – Uccle », here after APEEE. to participate in the prevention of disciplinary problems and risky behaviour. 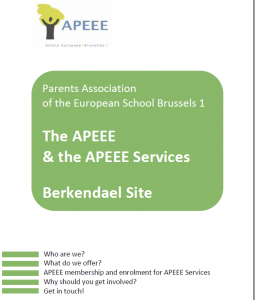 APEEE is a forum for dialogue and action open to all parents and all language sections together. 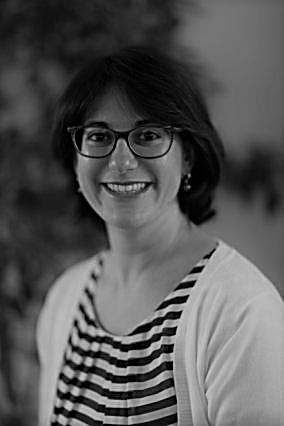 APEEE allows parents to participate actively on the different school decision making bodies and to promote « the families’ perspective » in a variety of projects and extracurricular activities in which our children take part. as a member of Interparents it works in close collaboration with the other European Schools in Brussels. All parents and guardians of students attending the European School Brussels I can join by paying the annual fee. A large part of the fees pay for the coordination carried out by the association’s secretary. In these last years, APEEE has also funded or co-funded different initiatives (conferences, participation of our students in Eurosport, humanitarian projects in Zambia, Haiti and Madagascar…). 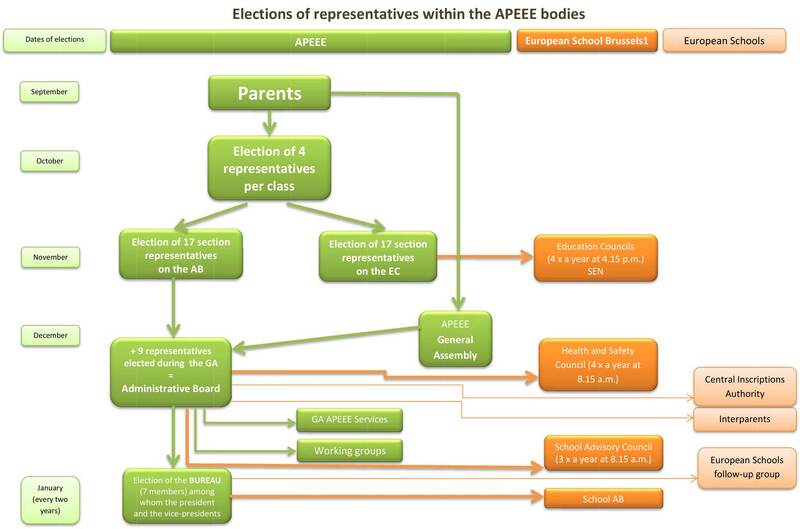 The appointment of APEEE representatives on the the different bodies follows several stages : appointment of APEEE representatives. APEEE depends entirely on the voluntary work carried out by its active members, that is the delegates elected by parents.